If you’re thinking about buying a hoverboard for the first time or if you are new to these personal transports and are unsure what to buy, don’t worry, Gadget Review has done the research for you. It can be hard sorting through all of the specs and features, but we have boiled it down to the top 3 models to buy. 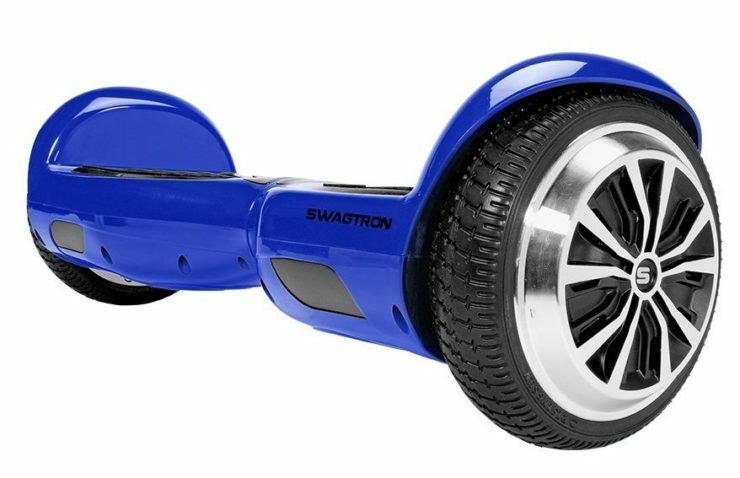 The SWAGTRON T1 is a great hoverboard, delivering the best value of all the models on the market today. The Swagtron T1 just gives you the features you want at a great price. The 1 hour charging, and 8 MPH top speed will please just about everyone. It has a good range of 7-12 miles with a 3-hour battery life as well. Other features include a SentriShield battery pack that prevents overheating and 2 learning modes. This model just nails all of the basics very well. The EPIKGO Self Balancing hoverboard is an all around excellent option, thanks to rugged wheels, lights and more. 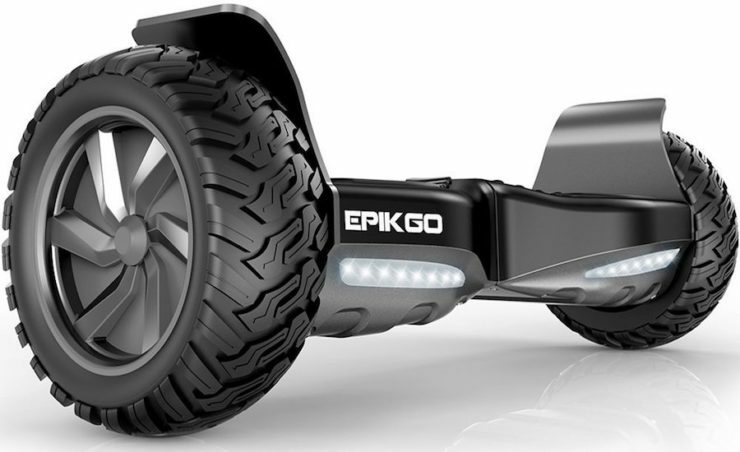 The Epikgo Self-Balancing Hoverboard will go where others can’t since it is an All-Terrain hoverboard. The battery delivers a charge time of under 2 hours and the 400W dual hub motors deliver some serious power. Other features include 1P56 certification, large 8.5 inch tires and a maximum speed of 10 MPH. These are all very respectable features in a durable body that handles both on and off-road with ease. A very versatile hoverboard with a powerful set of motors. The downside is the weight of the board itself. 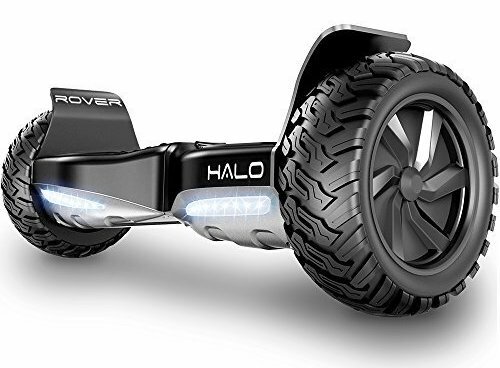 The Halo Rover has a lot of cool features, which is why it’s a bit pricey compared to other hoverboards. However, it’s worth it. We were impressed by the durable build and the powerful 800W motor. It has 8.5″ tires for all-terrain, LED headlights, the ability to climb grades up to 20 degrees, water resistance, a mobile app and more. It’s on the heavy side though. A few years ago hoverboards got a bad rap for catching on fire, but you should know that these top 3 hoverboard picks all feature UL 2272 certification. This means that the device has passed electrical and fire-safety testing. Today’s hoverboards are completely safe. Safety should be your priority when riding a hoverboard. You should always wear a helmet. Many people choose to wear knee and elbow pads as well. As long as you wear your safety gear and pay attention to the road ahead at all times, you will be fine.